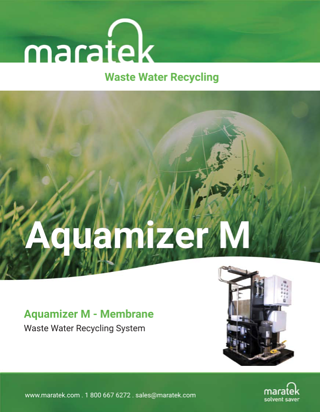 If you generate contaminated wastewater, Grey water, rinse water or mop water in your production facility then Maratek'swastewater purification systems can help you recycle wastewater streams for re-use or disposal, lowering your costs, saving your money and reducing your liability. Maratek has worked with many companies who generate wastewater contaminated with oils, solvents, lube-oils, grease, inks, coolants, glycols etc. where jurisdictions prohibit the discharging of wastewater to the sewer. Our Aquamizer WWR, WWT, WEH and Roto-Disc Liquid Filters allow for the safe disposal or re-use of this waste. 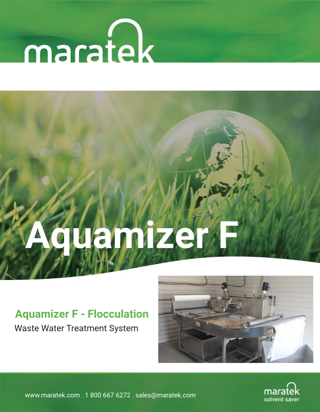 The Aquamizer M is a membrane based water treatment machine. Membranes of various sizes can be used to filter out all contaminants from water. Each system can be custom designed based on your specific waste stream and volumes.